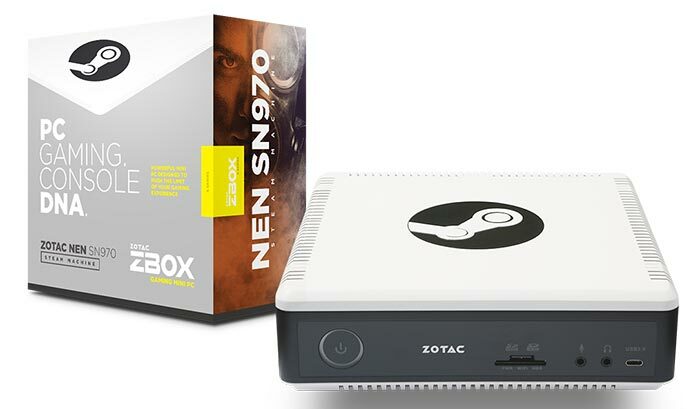 ZOTAC NEN is "the most powerful small form Steam Machine"
ZOTAC has launched the NEN Steam Machine ZBOX-SN970-P. 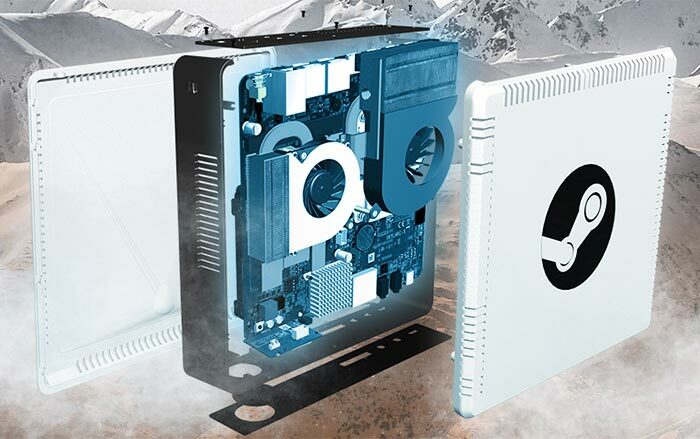 This Steam OS packing PC is said to be the "most powerful small form Steam Machine" so far. It offers PC Gaming with Console DNA, says ZOTAC's marketing department. The key performance components in this PC are the 6th gen Intel quad-core i5 Skylake processor and an Nvidia GeForce GTX 960 graphics processor. The machine isn't as small as many of ZOTAC's range, measuring 210mm x 203mm x 62.2mm (approx 8 x 8 x 2-inches). In operation you will find your NEN to be "whisper quiet, completely cool," says ZOTAC. Inside it uses dual radial coolers to keep the modern performance components ticking over comfortably. Despite its quiet efficiency you should be able to enjoy thousands of Steam games in Full HD. Inside the system ZOTAC has installed a Steam Controller dongle which can facilitate connection of up to 4x Steam Controllers simultaneously. One Steam Controller is bundled for free. There may be some confusion about the GPU installed in this 'ZBOX-SN970-P' system. A regular GTX 960 has a 128-bit memory bus so, as an educated guess this so called GTX 960 with 192-bit bus is a rebadged GTX 970M, as it was in the recently released, similarly code numbered, ZOTAC ZBOX MAGNUS EN970 machine. ZOTAC has yet to announce pricing and availability for the NEN. It might be ‘powerful and small’ but my god that is ugly. When will designers realise these steam machines are supposed to go in the living room with the rest of our av gear….at least xbox/playstation make an effort to look ‘higher end’ for a games console. And they still haven't caught themselves on with the 4 HDMI port nonsense. I still don't really ‘get’ these. It looks to be essentially a small form factor gaming PC - I'm a bit confused why anyone wouldn't just spend the same (probably) money on either a proper PC or a PS4/Xbox One.